Couples who’ve been can attest – Maui simply inspires romance, beckoning destination weddings, honeymoons and twosome escapes. My own romantic Maui adventure ensued across two of the island’s popular tourist regions: Wailea, known for spectacular beaches and upscale resorts (see Romance & Spa in Maui Part 1), and West Maui, which possesses a more interesting terrain and colorful history (once the home of whalers, missionaries and the ancient Hawaiian Kingdom). Both areas grant ideal weather, sandy beaches and heavenly backdrops for a getaway for two. 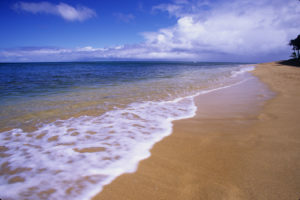 One of the best ways to have a romantic Maui vacation is to enjoy some privacy. 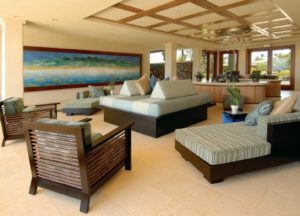 Easy to do, because at Honua Kai Resort & Spa, a new beachfront condo/resort that offers all the amenities of a luxury hotel, stylish accommodations give the impression of a private vacation home – a perfect configuration for romance-seekers. Modern studio, one-, two- and three- bedroom suites (over 600) all come with a full gourmet kitchen – convenient for making breakfast in bed, having a romantic dinner on the spacious lanai (balcony) or packing snacks for the many local area adventures: surf lessons in Lahaina, zip lining in the mountains, or a journey on the famed road to Hana. The super eco-friendly Honua Kai promises that nearly everything needed is on site, including a gourmet grocery store providing meals to go, deli meats, smoothies, pastas to cheeses, chips, cookies, bread and drinks. 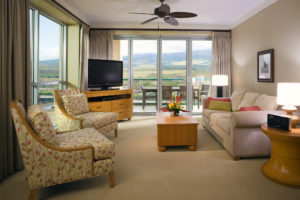 On these spacious lanais off each room, couples can host their own luau, with gorgeous tropical sunsets setting the scene. 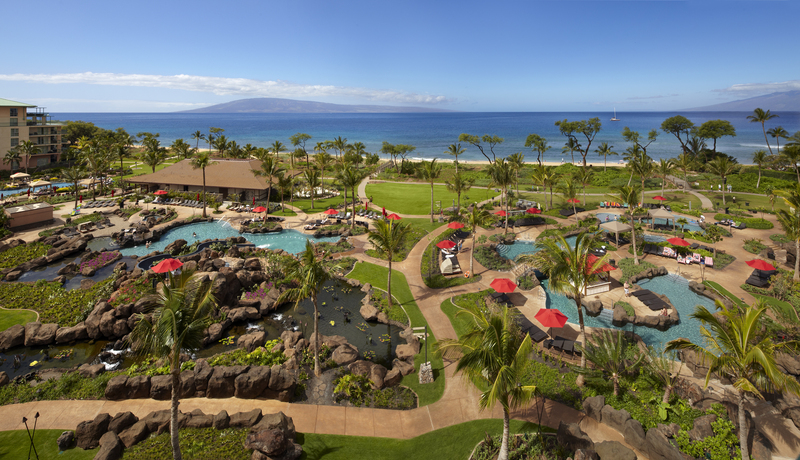 Two distinctive hotel buildings make up the resort, with each designed to showcase the oceanfront views and world-famous Ka’anapali Beach. The beachside Aquatic Playground includes a river pool, aqua chairs, and several hot tubs, and equipment like boogie boards, pool floats and snorkel gear, are available for rent. Breakfast is especially delicious at the beachfront Duke’s restaurant, named for celebrity surfer Duke Kahanamoku. Although the resort’s spa is not yet complete, I got a sneak peek at the space. I’m told that spa menu offerings will include native healing traditions but until it premieres, Honua Kai arranges for couples to utilize neighboring Westin Ka’anapali Ocean Resort Villas’ Spa Helani a superbly appointed spa offering a variety of nourishing services with indigenous ingredients. Now, take the splendid vacation-home concept up another notch: Imagine a sort of casually elegant, superbly appointed, private villa residence set in the epicenter of an inspiring environment. The Kapalua Villas are one part of the 23,000-acre Kapalua Resort master-planned community that is surrounded by natural preserves, pineapple fields, majestic mountains and the Pacific Ocean. Four clusters of one- to four-bedroom villas offer anything from fairway views to ocean front views in this expansive, secluded hideaway. The soothing surroundings-the quiet lull of the ocean, the abundant greenery and the tranquil West Maui Mountains-evoke a lust for leisure and outdoor activity. Plus, Kapalua is ideal for active couples because of the variety of activity offerings, notably two world-class golf courses. One is home of the winners-only PGA TOUR opening event, and the other course was co-designed by champion Arnold Palmer. 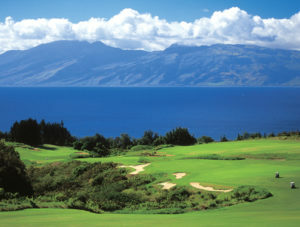 These grand par-72 and par-73 courses, respectively, along with the resort’s state-of-the-art Golf Academy, with innovations like a putting lab and digital video analysis, have made Kapalua a huge draw for golf lovers and garners accolades each year from the world’s leading golf publications. Other activities (all of which can be facilitated by the concierge at the resourceful Resort Center) include zipline tours on courses up to two miles long showcasing panoramic views across exotic native forests. Couples can even zipline by sunset or by moonlight after the sun goes down, followed by pupus (apps) and drinks. Hiking is a unique opportunity at Kapalua because the mountain trails wind around an arboretum, across ridges and through a former golf course. And, the Coastal Trail allows trekkers to spot marine life, including dolphins, green sea turtles and humpback whales, not to mention stunning ocean vistas. For those intrigued by Maui’s rich history and culture, pineapple plantations tours are available through the famed Maui Gold pineapple company. 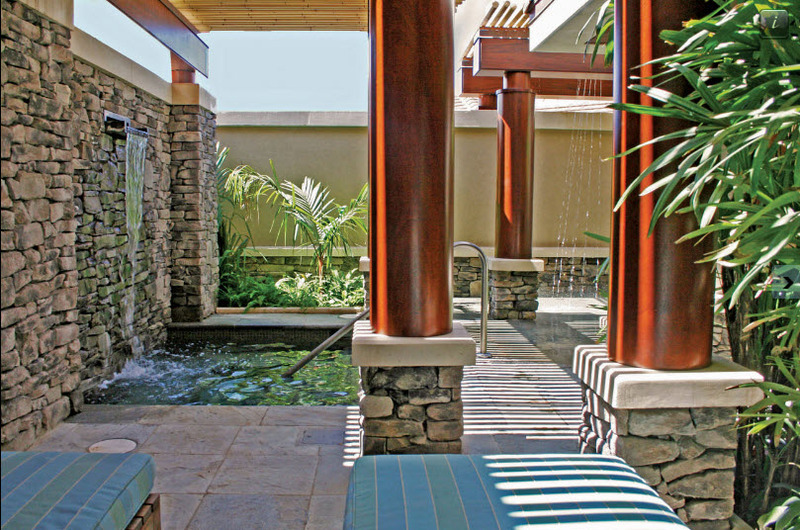 This sampling of pursuits is no match for one of Kapalua’s most alluring: its spa. Whether to alleviate muscles made sore by the active vacation lifestyle, or to savor the pleasure of a spa day together, the Kapalua Spa is a heavenly pursuit. 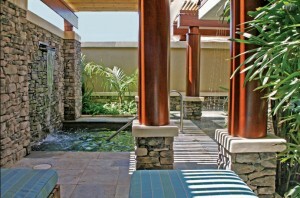 The 23,000-square-foot spa has 19 single and couple’s treatment rooms, including 10 outdoor hales (bungalows). Upon entry to the spa, a bamboo garden welcomes guests into a bright, spacious, minimalist haven of relaxation. The spa maintains a calming, warm vibe with help from new natural woods and travertine found throughout. Contemporary features include a juice bar, a yoga studio overlooking Kapalua Bay, a state-of-the-art fitness center, whirlpools, a saline lap pool, cold rain showers, stone soaking tubs and more. One of the savory body therapies on the expansive spa menu is an exfoliating scrub followed by a whipped lavender body butter. (Many Maui visitors tour the Alii Kula Lavender Farms which grow over 45 varieties.) 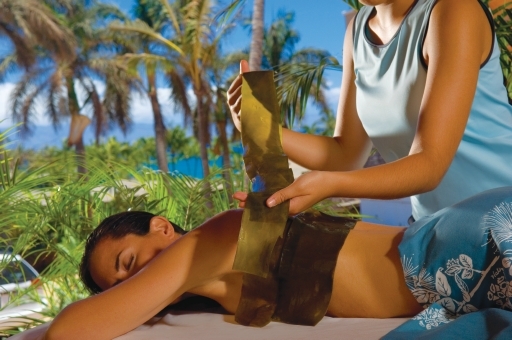 The spa’s Hawaiian therapies include a savory Cacao Lomi Wrap and the popular Hawaiian Lomilomi massage, a spiritual healing art as old as the culture itself. See more stunning spa photos here. On Maui, couples can do everything or nothing at all. These two resorts on the island’s dramatic coastline in the West let guests appreciate the natural beauty from the vantage of luxury home living, pronouncing Maui’s ability to both inspire and relax. Merriman’s Kapalua Catch a phenomenal ocean panorama, along with inventive pupus, during happy hour at this breezily elegant establishment known for fresh fish and local meat, a great choice among the 11 restaurants on premises at Kapalua Resorts. Road to Hana It’s all about the journey, on the 52-mile winding and narrow but stunning drive to Hana on the northeast coast of the island. The adventure leads you to native wilderness, waterfalls and alone time on a red sand beach. Our guidebook, “Maui Revealed,” was like a treasure map to cool stops. 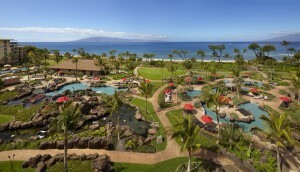 Also, it suggests Hotel Hana-Maui as an option for overnight stays. We at SpaFinder heard what’s up next for the hotel and it sounds INCREDIBLE! Stay tuned. Mama’s Fish House Though packed with tourists, Mama’s is the perfect dinner stop on your drive back from your all-day Hana excursion. This festive beachfront spot offers fresh island fish like deep water ahi, ono, opah and mahimahi, plus hands down, the best pina colada of my trip (and possibly my life). I’O One of chef/owner James McDonald’s three Lahaina restaurants, I’O offers whimsical and contemporary cuisine at the waterfront with dishes infused with everything from Maui Gold pineapple, Maui onions and island mushrooms, along with foods from his own farm. The “My Shorty” or braised Maui cattle beef short rib was to die for. Goofy Foot Surf School Even the clumsiest (ahem, me!) will get up on the surfboard. Everybody’s learning how. Gentle waves and patient instructors make it possible. 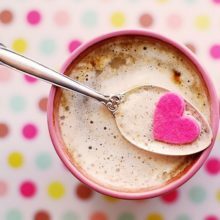 A professional photographer is available to capture it all. Lahaina Town This historic whaling village is just minutes from Honua Kai and is a mecca for trinkets (leis, ukuleles, Aloha shirts – you name it). It’s also home to lively eateries, and worthwhile art galleries and is a gateway to find providers of excursions like zip lining, helicopter tours and more. The Feast at Lele is a festive, oceanside luau experience that features Polynesian dancing and dining with a stunning sunset view. Another not-to-miss treat in town is the intimate Ulalena show; this moving journey unlocks much of Maui’s mysticism, and the performers’ talent blew me away.